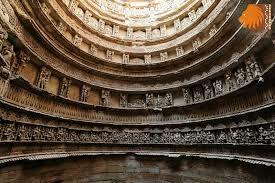 The glorious Rani-ki-Vav in Patan, Gujarat has got the UNESCO World Heritage tag. Its truely a treasure of the 11th century. The Vav, which means step-well, is an exceptional example of technological development in utilising ground water resources. The recognition was granted by the UNESCO at the World Heritage Committee Session held in Doha, Quater. There are already 30 World Heritage sites in India, 24 cultural sites and 6 natural properties. Gujarat’s Rani-ki-Vav will be the 31st site in the country.